The Blackhawks season has been a disappointment on the ice, but it's also been a disappointment for the organization in the arena as well, as attendance has continued to decline. The Hawks are drawing only 12,610 fans on average, second to last in the league (St. Louis is worst). For the past five games, the team has been offering free tickets to customers who had previously attended games in an effort to get people into the building, a tactic known as papering the house, and also a true sign of how far professional hockey has fallen in Chicago. More to the point, it's a sign of how desperate the team is to get people into the building, as every parking space and beer paid for goes into owner Bill Wirtz's pockets. The offers made their way to the Internet, and on Saturday the Chicago Tribune ran a story on the free tickets, with the added information that there was still a lack of interest. In the article, Peter Hassen, the Blackhawks manager of advertising and promotions, was quoted as saying "We've had our ups and downs this year, and the fans haven't been supporting us as much as we'd like." My response? If this organization would put a product on the ice that was worth supporting, rather than yet another team that was out of contention by the New Year, then maybe they would have an argument. Loyalty and support is a two-way street, and the Blackhawks have not been holding up their end of the bargain. With nine goals in his last 12 games, Blackhawk center Patrick Sharp has been coming on strong to finish the year. His shorthanded game-winner Sunday afternoon against the Oilers was his 20th of the year, the first time he's reached that milestone in the NHL. This is Sharp's first full year in Chicago, after being traded from Philadelphia in December 2005, and with 35 points, is the fifth-leading scorer on the Hawks. Sharp struggled and was inconsistent in the early part of the season, but even when not tickling the twine, he always puts a solid effort out on the ice. For a team full of many players who sometimes look like they're going through the motions, Sharp is the kind of player the Hawks need to hold onto. He's not a star, but he does the little things that can make a big difference. Despite a 2-1 overtime loss Saturday to Grand Rapids, the Wolves officially locked up a postseason spot, thanks to the point earned from the OT defeat, combined with Peoria's loss to San Antonio. With five games left, Chicago's seeding is still up in the air, as the first six teams are all within 10 points of each other. The Wolves didn't help their cause over the weekend, dropping a 5-1 game against Milwaukee, who currently sits in the fourth playoff seed, only three points back of Chicago. Milwaukee has owned the Wolves so far this season, going 6-1-1; with two more road games against the Admirals the next two Fridays, it's no stretch to say those games will be critical for Chicago's playoff hopes. The team stands only three points away from the top overall seed, which would earn them home-ice advantage throughout the conference playoffs. Currently in the top seed is the Manitoba Moose, whom the Wolves defeated 5-2 Wednesday at Allstate Arena. The Moose lost for only the fifth time in the past 23 games, with the Wolves notching two power-play goals against the league's top penalty kill. Center Jason Krog scored two goals in the contest to lead the team, and Darren Haydar picked up his 38th marker of the season; along with an assist, Haydar has now tallied 110 points to lead the league. The win at the time pulled the Wolves to within two points of the top seed before their back-to-back losses this weekend. The victory was the first game against the Moose since the beginning of February. Although with current seedings, the teams would not meet until the conference finals, defeating Manitoba should give the Wolves confidence should their paths cross again in the postseason. The Wolves picked up some reinforcements for the playoff push as the NHL's Atlanta Thrashers reassigned center Brad Schell from the Gwinnet Gladiators to the Wolves. Schell is the leading scorer of the East Coast Hockey League with 110 points, 85 of them assists, and in a four-game stint with the Wolves earlier picked up a goal and two assists. Chicago's already an offensive powerhouse in the AHL, and Schell will provide additional depth, but the move is more of a chance for the 22-year-old to gain some experience from the postseason race, while providing additional firepower in limited minutes. Schell will probably be joining the Wolves next season if he continues to develop and is a name you will hear much more often come next fall. As much as I can't claim to be a Luther Vandross fan, how could this column possibly be named anything other than "One Shining Moment?" In an age of electronic and hip hop highlights reels, CBS' tribute to the tournament is always something to see. I've got a friend who has many of them on VHS. He'll go back now and again and watch them in stunning "low definition." Some people probably turned off the game last night as soon as they realized Florida had won, which could have easily been at halftime, but they certainly missed a show. Some sweet Luther with a bunch of shots of Virginia Commonwealth was all I needed to accept that the college basketball season had ended. There's a part of me that's happy for this Florida team. They won a National Championship and instead of all turning pro, they all came back to win another. It's been tried before, but rarely does it actually happen. With that said, I really don't like them. Joakim Noah is the poster child for whininess and if he ever opens his mouth again, it'll be too soon. I'll relish seeing his frail frame get knocked around in the NBA next year. It'll be interesting to see what this Florida team can do next year coming off of two national titles. They're about to lose most of their team and, my guess, their coach (to Kentucky). Threeeeee: What've You Been Up to? Forget about the Bulls? You very well may have, but they've been doing some great things. They've won five of six and outside a disappointing loss to the Cavaliers, they've done everything they can to take home court advantage in the first round of the playoffs. The sit only a half game behind the Cavs for second in the East and have clinched a playoff berth. The Bulls have seven games left and the Cavs have eight. It'll be a race down to the end for two teams who do not play each other again. A simple sub-head? Yes, but Tyrus deserves number four to be named solely for him. After some fans were growing impatient with the early draft pick throughout the year, Thomas has exploded throughout the Bulls' recent winning ways. He scored a career high 27 off the bench in the loss against Cleveland and has filled up the highlight reel with spectacular dunks and blocks Bulls fans haven't witnessed firsthand for years. It's apparent this young man is going to be a spectacular player in years to come. The schedule is about to get tougher than it had been. After a collection of losing teams, this week features three current playoff teams. The Bulls go to Detroit and Toronto and host New Jersey. It would be incredibly hard to catch Detroit in the standings at this point, but a win against the East leaders is necessary to help keep the second seed alive. New Jersey has given the Bulls fits this year and while Toronto is a bit on the injured side, they're still a formidable opponent. Three weeks left, folks: buckle down. While one day does not make a season, yesterday's opening day loss to the Cleveland Indians confirms my pessimism about the short-term future of the White Sox. So lest I merely seem momentarily bilious, know that the tiny little thoughts below have been brewing up since last August. Yeah, that score sounds about right for a Sox game against one of the American League's better offenses. A declining group of starting pitchers led by Jose Contreras suggests that this won't be the only time this week that the other team will plate 10 or more against your 2007 Chicago White Sox. The one-dimensional Sox offense — which did what it's built to do in yesterday's opener by scoring the majority of its runs via the long ball, contrary to all that grinder-ball messaging — looked mostly helpless as usual against a left-handed starter, and the afternoon came to resemble the painful parts of 2006 all over again. Thankfully the Sox have today off so the bullpen can recuperate a bit after three different relievers each went two or more innings in the opener. Former Texas Ranger Nick Masset had a rough go of it in his first appearance in a White Sox uniform, allowing several inherited runners to score as well as three of his own over a three-inning stint. Fellow newbies Andy Sisco and David Aardsma fared better. It's tough to expect that all five starters will stay healthy and pitch well all season long, so we may be seeing young hurlers like Gio Gonzalez, Larry Broadway and Adam Russell sooner rather than later. And if short outings from the starters become the norm, it will be very hard to resist the urge to bring up knuckleballer Charlie Haeger as a rubber-armed long reliever capable of bailing out a struggling starter a few times a week. I'm stickin' by my guns: it's no coincidence that "bad" and "Erstad" rhyme. So while it was nice to see him put everything he had into a swing at a C.C. "Five-Run Lead in the First" Sabathia meatball and drive it into the Bullpen Sports Bar, that kind of big play will be the exception rather than the rule from our new centerfielder. More typical will be the array of fly balls and groundouts he managed in the opener, as well as a lot of chasing after balls hit over his head reminiscent of last year's scintillating Rob Mackowiak Experience. But hey, he "looks like a ballplayer" and likes running into fences, so that's something. Woof. Kenny Williams is right: the contracts keep getting crazier in major league baseball, especially for mediocre veteran pitchers. So in consideration of this fact as well as the rapid aging of his team's offensive core, he started to rebuild on the fly this off-season while keeping up the façade of fielding a contending club. This squad could easily come into the All Star Break 10 or more games below the .500 mark, as the whole is inferior to the sum of its parts. Four very good/great players in Paul Konerko, Jim Thome, Jermaine Dye and Joe Crede are dragged down by the average guys at second and catcher and subpar talent in left field, centerfield, shortstop and the bench. There will be days and even weeks when this bunch will be able to outslug the opposition and win some series, but with a stunningly average (at best) starting staff it's hard to expect a winning record. Come August this White Sox team will be selling off free-agents-to-be like Buehrle and Dye in exchange for young talent, while possibly positioning for a run at Alex Rodriguez, who may/may not be intrigued by the thought of once again being the big frog in a small pond. The September lineups will be filled by the likes of Ryan Sweeney, Josh Fields and Brian Anderson while the marketing department looks to develop another ad campaign along the lines of "the kids can play" from days of yore. Come 2009 it'll start to look good, but there will be some painful points along the way. Among life's many mysteries is how the original color scheme for new Comiskey came to be. Back in the day I was a bit nervous about how the park would look as I tinted bucket after bucket of blue-grey paint for a New Comiskey contractor during my summer job at a commercial paint store. When I actually saw the park's interior for the first time in 1991 I viewed the fruits of this labor: the blue batter's eye out in centerfield (which was subsequently painted black just a few years later), which bridged the sea of blue seats that ringed the entire ballpark in homage to Yankee Stadium. What a difference a decade and a half makes! Capping off years worth of improvements, which have seen additional rows of seating at field level in what used to be foul territory, the fan deck in center, the Fundamentals practice area for kids out in left, the shaving off of the top eight or so rows of the upper deck and construction of a new roof, and new brickwork throughout the concourses, the stadium now sports green seats throughout the park, giving it the look of Old Comiskey minus the slivers. And now, 2007 looks set to remind me of some of those crappy teams of the '70s and '80s that I grew up watching in that old park. ...is still on vacation. Jeff's going to have a lot of catching up to do. Feel free to get it started in the comments. Mexican superstar Cuahtemoc Blanco should be finalizing his contract at a press conference today. I mentioned last week that choice of Blanco as our salary-cap exempt Designated Player would be controversial. There will be all kinds of time to discuss whether this was a good or bad idea over the coming months and it would be silly to talk about it too much before knowing any of the details of the deal. So even though I don't rate him too highly, it's still preseason and it might be my last chance to be optimistic. Here's hoping he scores or sets up a ton of goals this season. Also, I have to credit the Fire front office for making something major happen. For good or for bad, at least there will be something to talk about. In addition to getting people talking, the one thing Blanco's signing will surely do is stir interest in Chicago's Mexican-American community. Hopefully, a lot of the new fans will find their way to Section 8 and the supporters' end of the field will be twice as big and twice as loud as it was last year. Increased crowds, though, will increase the security concerns. Any problem for an MLS team that involves increased crowds is a good problem to have, but even being optimistic, there are things that need to be addressed. The Fire will need to overhaul its stadium security, which doesn't have a good record at disarming situations early. In fact, when it comes to the supporters section, they have a reputation for escalating minor situations into violent altercations. Mexican fans traditionally bring more passion, which is badly needed at MLS games. But sometimes passion boils over. When Club America, Blanco's former Mexican team, played a friendly last year against the Fire it attracted a boisterous, boozy crowd that became violent by the end of the match, with scattered fist fights breaking out around the stadium. With an influx of hispanic fans, mixed with a suburban club soccer crowd, I'd hate to see something minor turn ugly and then have racial implications. I don't want to see pictures of white security guards beating up a Mexican-American fan on the front page of La Raza or brawls breaking out in the same section as a U-8 girls team from Schaumburg. Three: Now What Number is Thiago Going to Wear? Jersey numbers are incredibly important to soccer players, and no number carries more importance than the number 10. Last season Thiago took a very bold step by requesting the number. Nobody on the Fire had worn it since Peter Nowak, and for a Brazilian to ask (the number was made famous by Pele) showed a desire to assume some serious responsibility. This year he'll have the number yanked away from him because it is Blanco's preferred number. How the club handles delicate matters like this will go a long way to determining the chemistry and performance on the field. I was hoping they'd at least give Thiago the number 19 and put a plus sign in the middle, but according to the Tribune he'll be wearing 11. Four: Who's Going To Be the Breakout Find This Year? Even the most ardent critic can't deny that coach Dave Sarachan excels at finding unheralded rookies that make an immediate impact on the league. He did it in 2003 with Damani Rolfe, 2004 with... well, let's pretend 2004 never happened. In 2005 with Gonzalo Segares and Chris Rolfe, and 2006 with Dasan Robinson. So it's not overly optimistic to assume one of our new guys will be in contention for Rookie of the Year. Early favorites this year include Trinidadian Olisea Telesford and Bakary Soumare from the University of Virginia, reportedly both sturdy types that can add depth to the backline or defensive midfield. Five: Can We Make a Run at the Supporter's Shield This Year? Every season the Fire starts out with their eye on two trophies: The MLS Cup and the US Open Cup. To their credit, this is one more trophy than the majority of MLS teams care about. Still, I'd like to see the Supporter's Shield, awarded to the team with the best regular season record, added as one of the Fire's goals this season. Without a brutal road trip to kick off the season, there is no reason they shouldn't start the season with that in mind. The Supporter's Shield isn't an absolutely fair indicator of the best team of the league since there is an uneven schedule (and no monetary incentive), but it's much closer to fair than a system in which the eighth best team in the league can win the title. As a fan, if I had a choice between the Fire doing what last year's DC United team did (comfortably earning the best record in MLS) or what 2005's LA Galaxy did (limping into the playoffs, then winning the MLS Cup) I'd go with DC every time. For one thing, it would mean we'd get to watch the Fire win a whole lot more. 7) growing pains by young replacement players (yes, I'm looking at you Ryan Theriot). Jason Maslanka began his fandom of the Chicago Bulls in June of 1991, conveniently coinciding with the franchise's first championship. The years since the championships tested his fandom, but it never faltered. He believes that the NBA is more than dunks and hip hop, and that the NBA dress code is a good thing. He thinks most fans don't really understand basketball, and if they did, they'd love it even more. He knows that there are certain players who do the little things for no praise, and stat-mongers who don't really do anything to help their team win. Every week, he executes a beautifully crafted column containing five points you should be thinking about and discussing as a Bulls and NBA fan. 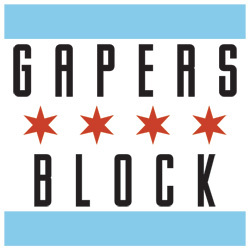 Send comments, questions and arguments to bulls@gapersblock.com. Steve Gozdecki has been a White Sox fan his entire life, with the exception of an ill-advised flirtation with the 1984 Cubs in the days when his town wasn't wired for cable. Because he swears by the work of the "baseball outsiders," who believe that statistical analysis trumps old truisms like subjective evaluation and team chemistry, he found himself pleasantly surprised when the Sox won it all last year. Each week through the season, Steve will bring you five crucial talking points you can use the next time someone says, "Hey, how 'bout them Sox?" 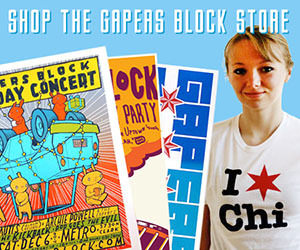 Send comments to sox@gapersblock.com. Steve Gillies watches too much soccer to be completely healthy. He's been a Fire fan since he stood in a torrential downpour while the Fire beat New England 6-0 and he realized watching American soccer games in person was a lot better than watching European football matches on television. Each week he'll give you five things to talk about if you happen to get cornered by one of those soccer people at a party. Send comments to fire@gapersblock.com.